Our primary goal is to celebrate the lives and honor the memories of your loved ones with quality granite monuments, gravestones and engraving. Our staff provides a helpful, professional and no pressure sales environment. We look forward to hearing from you and thank you for visiting our website. We are a trusted, stable supplier of cemetery markers, and operate with trusted family values. It is our mission to bring you the highest quality headstones, memorials and markers, at an affordable price. We also offer full custom engraving on all our products, so that your finished piece is as unique as the life it represents. 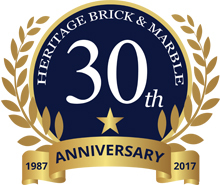 Heritage Monuments offers an affordable selection of cemetery markers, memorials, monuments and granite markers. We are a trusted, stable supplier of cemetery markers, and operate with trusted family values. It is our mission to bring you the highest quality headstones, memorials and markers, at an affordable price. We also offer full custom engraving on all our products, so that your finished piece is as unique as the life it represents. Serving Michigan for 30 years. Heritage Monuments provides cemetery monuments that honor loved ones. Please provide the following and we'll respond promptly.